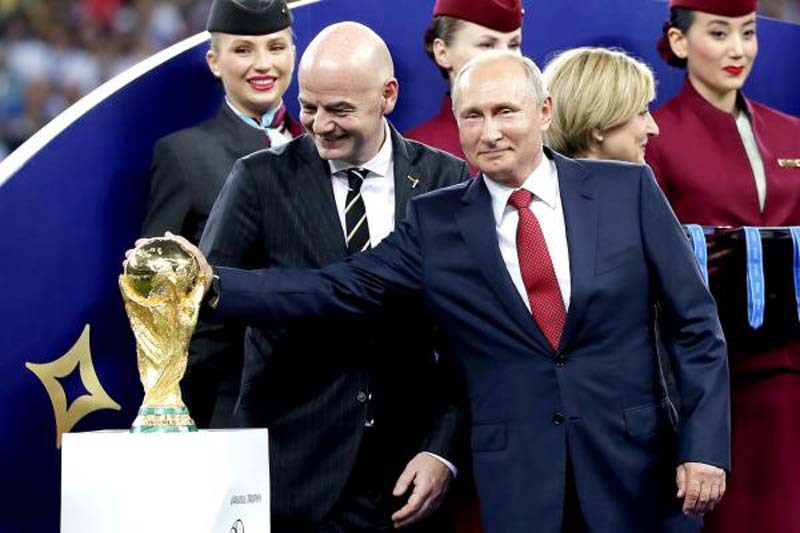 Russian President Vladimir Putin has thanked all, from football fans to volunteers, who helped make a real festival of football throughout the 2018 FIFA World Cup in Russia. [post_ads]"Some fans are emotional, but as it turned out they are responsible people. I was even surprised to see it," he told journalists after the World Cup final match. "I am very thankful to them. I want to thank them for their attitude to this event." He said that it was due in large part to the fans that the world championship had become a real festival of football. Putin offered special thanks to the "coaches and specialists, to the team," who "inspired all the fans to take football as a festival." The Russian president also thanked organizers. "Hundreds, if not thousands, of volunteers were engaged in all the host cities. I would like to thank them as well, because they welcomed out guests, accompanied them, with the smile on their faces, always kind-heartedly," Putin noted, adding that the page where Russia is pictured as a hostile country and its citizens as gloomy and unfriendly people should be turned over.